The Blue Bandit. Photos courtesy Randy Stone. I have owned several cars through the years, including a couple of Mustangs, a Plymouth Duster, a few pickup trucks, and, out of necessity when kids came along, several mini-vans. 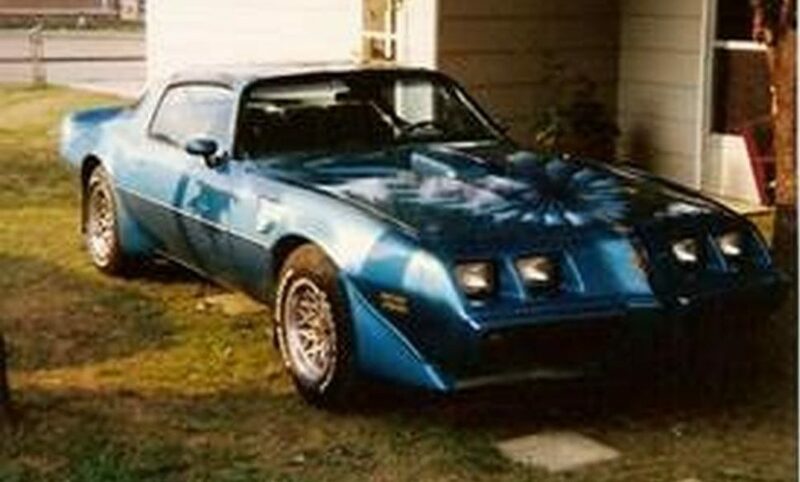 Of all the cars I’ve owned, none compared to my 1979 Pontiac Trans Am. I was a college student in 1981 when a friend of my father bought a new Corvette and sold his Trans Am to me. 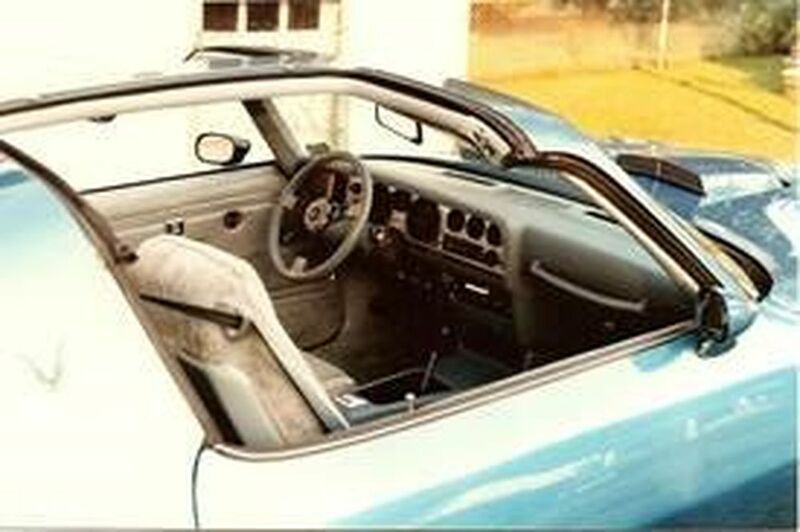 The car’s color was Atlantis Blue and its list of options included air conditioning, AM/FM cassette stereo, T-tops, power windows and locks, and a power antenna. The WS6 performance package, which included four-wheel disc brakes, enabled the car to easily take on winding roads. 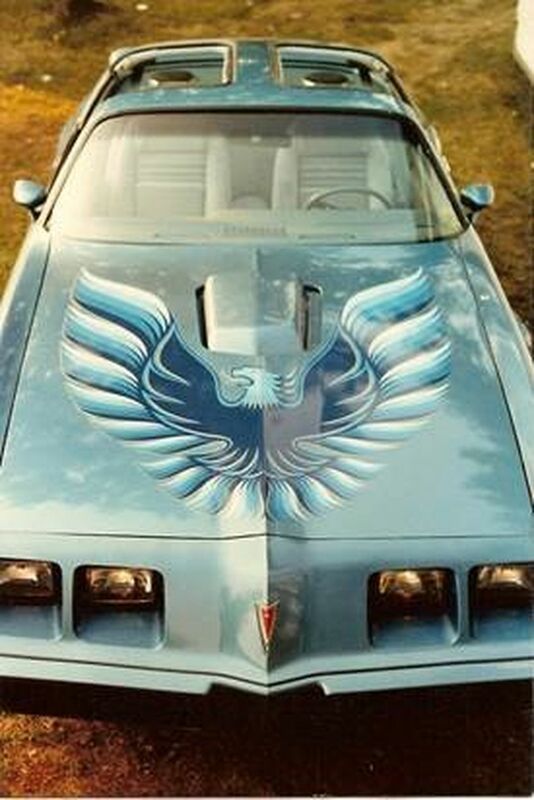 Of all the car’s options, the most noticeable was the screaming eagle on the hood. As were most 1979 Trans Ams, the car came equipped with the Oldsmobile 403-cu.in. V-8 engine mated to an automatic transmission. The 403 generated a mere 185 horsepower, which was low by muscle car standards, but respectable for 1979. Even though the hood scoop was non-functional, it looked awesome poking through the hood and vibrating with the engine. I learned that at a certain RPM, the car would produce a distinctive growl through the dual tipped exhaust. I was a bit of a nerd back then, but the Trans Am helped cure that. Or, maybe it just made me a nerd with a cool car. Either way, it was a great car to own and drive. This was in the day when Burt Reynolds and Smokey and the Bandit helped boost the popularity of Trans Ams. In the tradition of “Smokey,” my car was appropriately dubbed the “Blue Bandit;” I think Burt would have approved. Many Saturday evenings found my best friend and I cruising the streets of Kanawha City, West Virginia. We also took the Trans Am on more than one road trip to Myrtle Beach, South Carolina, where each night the T-tops would come off and the cruising would begin. Of course, it was our civic duty to play ZZ Top through the stereo loud enough that everyone within a city block could hear. I didn’t care that the car rarely achieved more than 15 mpg, or that the trunk was barely big enough to hold the T-tops. After all, one didn’t buy a Trans Am for gas mileage or cargo space. On one trip, I was driving the Trans Am, following my father who was driving his car, when a deputy sheriff pulled in between us. The blue lights began flashing and Dad started to pull over. I thought I was in the clear until the deputy waved at me thought his back window, motioning me to pull over as well. There we were on the shoulder of the highway, my family in their car, my friend and I in the Trans Am, and the deputy parked in between. Dad and I each took our turns sitting in the deputy’s car discussing the advantages of following the posted speed limit. I guess the deputy felt sorry for me because I was given a warning, while Dad ended up with a ticket and stern lecture for setting a bad example for his impressionable young son. One day, while I was at work, the car was stolen. It is a strange feeling to walk out to where you parked your car only to find an empty parking space. I walked up and down each row of the parking lot, thinking I may have parked it somewhere else. The police told me that someone had taken another car, parked it beside of my Trans Am, and then took the Pontiac. My only consolation was the fact that the fuel gauge pointed to empty when I parked the car earlier that day, which meant the person who took it had to fill the gas tank. Luckily, the car was recovered after a few days, and after some minor repairs was as good as new. In addition to being a great looking car, the Trans Am also proved to be very reliable. The Olds 403 engine ran flawlessly the entire time I owned the car, but eventually the paint and screaming eagle decal started showing their age. A family friend, who was a painter for a body shop, coached me though some minor bodywork and then sprayed the car with a new coat of Atlantis Blue. I replaced the Trans Am lettering, and took on the daunting task of replacing the screaming eagle decal. Applying the new bird involved a lot of tedious work, but it turned out great. The Trans Am was my daily driver for several years. Eventually, I bought another car and garaged the Trans Am, taking it out only on sunny days. Then, one day in 1990, my priorities changed when I met a pretty school teacher named Becky. After nine years of cruising and beach trips, I sold my 6.6 Litre friend and used the proceeds to buy an engagement ring. My new bride thought that selling the car to buy an engagement ring was a romantic and touching gesture, that is, until the day I let it slip that I sold the Trans Am for more than I paid for the ring; I still haven’t lived that one down. Someday, perhaps after the kids are out of college, another Trans Am will reside in my garage. Until then, you’ll see Becky and me cruising the streets in a Dodge Grand Caravan. It doesn’t have a big V-8 or T-tops, but it’s practical and great for hauling the kids and their gear. After all, one buys a mini-van for gas mileage and cargo space. Wow, I guess priorities do change.